TS ECET 2019 Application Form & Registration, Exam Date, Syllabus : TS ECET 2019 will be conducted by Jawaharlal Nehru Technological University (JNTU), Hyderabad on behalf of the Telangana State Council of Higher Education (TSCHE) for providing lateral admission into 2nd year of regular B.E. / B.Tech. / B. Pharm. 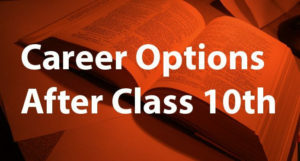 courses to B.Sc. (Mathematics) degree holders and diploma holders of pharmacy / engineering / technology for the academic year 2019-20. Candidates who want to appear for TS ECET 2019 are required to apply online. But before doing that, they are needed to understand few essential things about this upcoming entrance test like date of release of official notification, eligibility criteria, application form, process, fee & mode of payment, selection process, admit card, examination date, result etc. 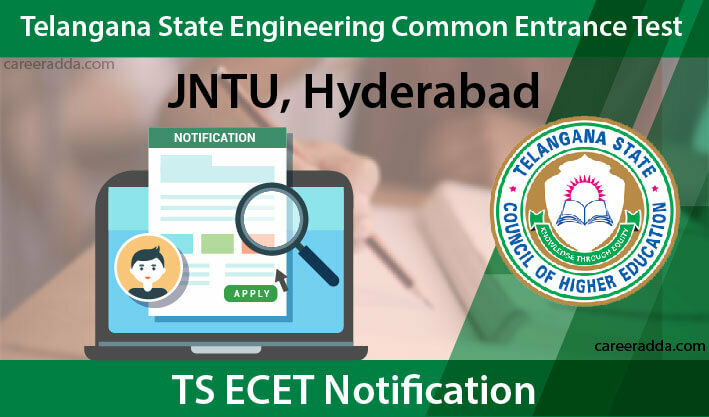 On March 2nd 2019, Jawaharlal Nehru Technological University (JNTU), Hyderabad will release an official notification on behalf of the Telangana State Council of Higher Education (TSCHE). After release of official notification, candidates will be able to download it from TS ECET’s official online portal. TS ECET 2019 official notification will contain every important information right from eligibility criteria to examination date. An applicant should be an Indian citizen. S/he should belong to the State of Andhra Pradesh / Telangana. All the candidates have to pay their registration fee at AP Online Centers in A.P., TS Online Centers in T.S. or by using a Debit card / Credit card or net banking facility. Mathematics 100 Differential Equations of First Order & First Degree, Higher Order Linear Differential Equations, Binary Operations, Isomorphism, Homomorphisms, Permutations, Vector Differentiation & Integration, The Plane, The Sphere, The Real Numbers, Sequences and Series, Continuous Functions, Differentiation, The Riemann Integral, Vector Spaces, Linear Transformation and Matrices etc. Analytical Ability 50 Problems on data sufficiency, coding & decoding problems, data analysis, sequences and series, date, time & arrangement problems etc. Communicative English 50 Questions will be asked from the following topics:- antonyms, synonyms, single word substitute, Idioms & Phrasal Verbs, Tenses, Active & Passive Voice, Correction of Sentences, Reading Comprehension etc. 50 Introduction of different dosage forms, packing of pharmaceuticals, metrology, introduction to pharmacopoeias with special reference to the indian pharmacopoeia, introduction to drying process, distillation, heat process evaporation, extraction and galenicals, clarification & filtration, mixing & homogenization, size separation, processing of capsules & tablets, study of immunological products, sterilization, biphasic liquid dosage form, dispensed medications, dispensing pharmacy, sterile dosage forms, semi- solid dosage forms, dental & cosmetic preparations etc. 50 Acids, bases and buffers, antioxidants, gastrointestinal agents, topical agents, dental products, antidotes, inhalants, respiratory stimulants, major intra & extracellular electrolytes, identification tests for cations & anions according to indian pharmacopeia, introduction to the nomenclature of organic chemical systems, antiseptics & disinfectants, hypnotics, cholinergic drugs, adrenergic drugs, analeptics, antidepressant drugs, general anesthetics etc. 50 Various systems of classification of drugs of natural origin, adulteration & drug evaluation, definition, history and scope of pharmacognosy, laxatives, antitussive, antidiabetics, antitumor, perfumes & flavoring agents, antiseptics & disinfectants, pharmaceutical aids, channels of distribution, forms of business organizations, inventory control, banking & finance service and functions of bank, accountancy, concept of health, fundamental principles of microbiology, communicable diseases, non-communicable diseases etc. 50 Introduction and scope of pharmacology, pharmacological classification of drugs, local anesthetics, chemotherapy of microbial disease, disinfectants and antiseptics, hospital pharmacy, drug distribution system in hospitals, manufacturing, introduction, definition & scope of clinical pharmacy practice, drug interactions, adverse drug reaction, drugs in clinical toxicity, bio-availability of drugs, drug abuse, drug dependence, addictive drugs & their treatment, complications etc. TS ECET 2019 will be conducted by Jawaharlal Nehru Technological University (JNTU) on May 9th, 2019 from 10.00 AM to 01.00 PM. Result will be announced after few days from the date of examination. Once results announced, candidates can check their TS ECET 2019 results through TS ECET’s official online portal. To check result, candidates should have to use their ‘registration number’, ‘Qualifying Examination Hall Ticket No’ & ‘Date of Birth’. Q. Which University Conduct TS ECET 2019? TS ECET 2019 will be conducted by the Jawaharlal Nehru Technological University Hyderabad [popularly known as JNTUH] on behalf of the Telangana State Council of Higher Education (TSCHE). Q. When Will TS ECET 2019 Detailed Notification Gets Released? TS ECET 2019 detailed notification will be released most probably in the first week of March 2019. Q. What Are The Dates For Registration Of Online Application? Dates will be disclosed with the release of TS ECET 2019 detailed notification. It is expected that registration dates will be in March/April 2019. Q. What Is The Registration Fee Of TS ECET 2019? SC / ST candidates will have to pay an amount of Rs. 400/- towards registration fee while other candidates will have to pay Rs. 800/- towards the same. Q. How Can I Pay The TS ECET 2019 Registration Fee? You can pay the fee online using Debit / Credit card / net banking or offline at APOnline Centers in A.P. / TS Online Centers in T.S. Q. What Is The Date Of TS ECET 2019? TS ECET 2019 will be conducted by JNTUH on Saturday, 11 May 2019. It will be held in two sessions i.e. Forenoon session (from 10:00 AM to 1:00 PM) and Afternoon session (from 3:00 PM to 6:00 PM). Q. I Have Done B.Sc. (Mathematics). Am I Eligible To Apply For Admission Into B. Pharm. Course? 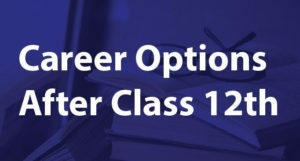 No, you are not eligible because as per TS ECET eligibility criteria, candidates having B.Sc. (Mathematics) degree are not eligible for admission into B. Pharm. Course. Q. What Are Qualifying Marks In TS ECET 2019? There shall be no minimum qualifying marks for SC / ST candidates. However, rest of the candidates will have to score at least 25% of the aggregate marks in order to be eligible for ranking. Q. By When I Can Download My TS ECET 2019 Hall Tickets? TS ECET 2019 hall tickets will be available to download most probably from first week of May 2019 onwards. Q. What Will Be The Language Of Question Paper Of TS ECET 2019? Question paper of TS ECET 2019 will be in English only. We wish you Best of Luck for TS ECET 2019.